Originally made from camel's milk, kefir comes from high in the Caucasusa 750-mile-long mountain range between the Caspian and Black seas. 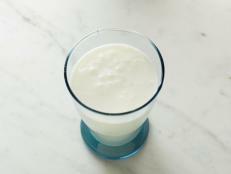 Today, however, it's more commonly produced from cow's milk. It's a slightly sour brew of fermented milk, most of which contains about 2½ percent alcohol. 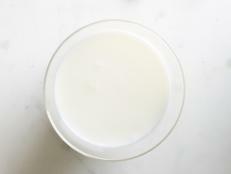 Kefir is reminiscent in both taste and texture of a liquid yogurt. It's available in cartons or bottles in natural food stores. See also kumiss. It's a cruel fact: Many of the foods that are potentially good for us also have names seemingly designed to trip us up.